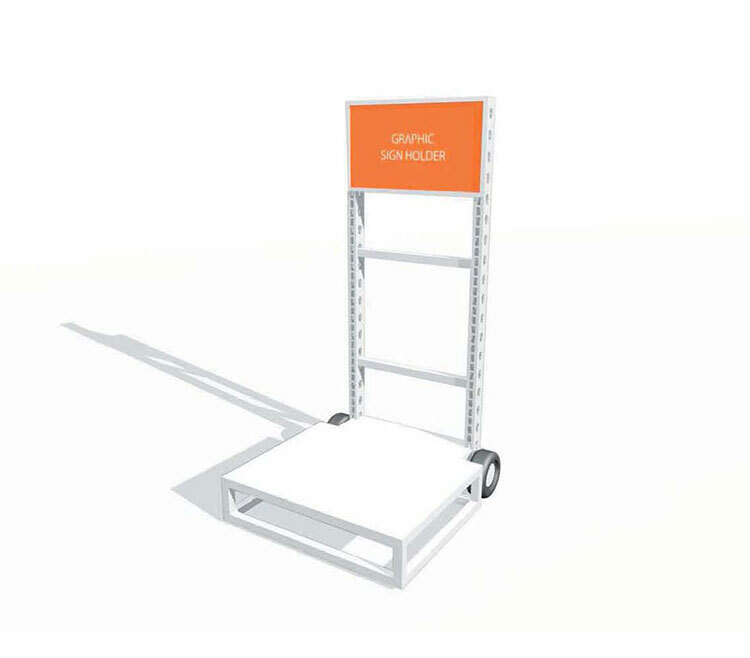 The Cut-Case Cart is a mobile solution for impulse or add-on sale merchandising in-aisle, near the store entry, or at the checkout area. Display open product on top of stacks of boxed stock items. The cart can easily be repositioned where needed. This cart features a powdercoat steel base frame sitting on locked wheels and a channel sign frame design with top access.